Look at this sweet color scheme from Riley Blake's new Willow line. 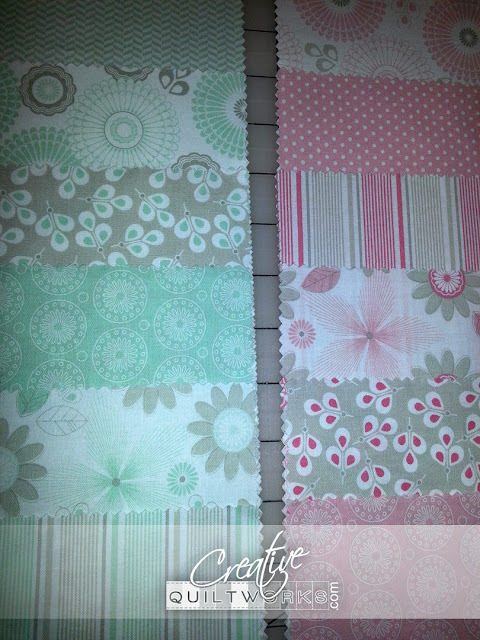 I am thinking these would be so perfect for a little girl quilt. It reminds me that the room my sister and I shared was pink and green when we were little girls.